The Georgia Center for the Book and Charis will co-host critically acclaimed Atlanta author, Amber Brock at the launch of her new novel, Lady Be Good, at the Decatur Library. 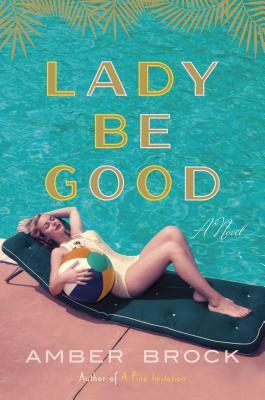 Lady Be Good marks Amber Brock’s mesmerizing return to fiction after her debut hit A Fine Imitation, sweeping readers into the world of the mischievous, status-obsessed daughter of a hotel magnate and the electric nightlife of three iconic cities: New York, Miami, and Havana. Lady Be Good focuses on Kitty Tessler, a schemer who dreams of a place at the top of 1950s New York society. When her father demands that she must marry the second-in-command of his hotel empire, she lands on a plan that will not only quash her father’s ultimatum, but potentially save her best friend from a loveless marriage. But a visit to her father’s Miami property, an eye-opening trip to Havana, and a budding romance with a musician wake her up to the beauty—and injustice—of the world beyond her privileged corner of Manhattan. This is a Charis Circle event co-sponsored by The Georgia Center for the Book. It is free and open to the public. Set in the glamorous 1920s, A Fine Imitation is an intoxicating debut that sweeps readers into a privileged Manhattan socialite's restless life and the affair with a mysterious painter that upends her world, flashing back to her years at Vassar and the friendship that brought her to the brink of ruin.